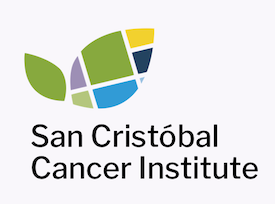 San Cristóbal Cancer Institute provides a safe haven for cancer patients and their families through specialized Psychology services. When patients are diagnosed with cancer, it’s normal to experience stress associated with the many changes a diagnosis brings to one’s life. San Cristóbal Cancer Institute has an experienced, compassionate psychology staff ready to help patients adjust to these changes. Our licensed clinical psychologists are specially trained to help patients with cancer relieve the stress, sadness, or nervousness associated with cancer and its treatment. We are available for consultation with individuals, couples, and families. Patients can benefit from an appointment with us if they have cancer themselves, or if a loved one is facing cancer and family members need support. Patients can schedule an appointment any time before, during, or after their course of treatment. They don’t have to wait to be referred by their doctor because we are part of their cancer care team. If you’d like to learn more about our Psychology therapies or any of the other services available at our state-of-the-art Cancer Center, please contact us.